All the sweetness of chocolate to excite the taste buds, with a subtle blend of authentic cocoa and hazelnuts. The perfect cocoa bean experience ! In addition to its fair trade certifications, Belvas has developed over the years a complete range of 100% organic pralines and truffles with the main theme “return to basic authentic taste”: dark chocolate minimum 72% cocoa with praline 50% hazelnuts, caramel home-made cream, praline almonds and pistachios, authentic ganache … no coloring, no preservatives, no artificial flavor or flavor enhancers are used in our chocolates ! 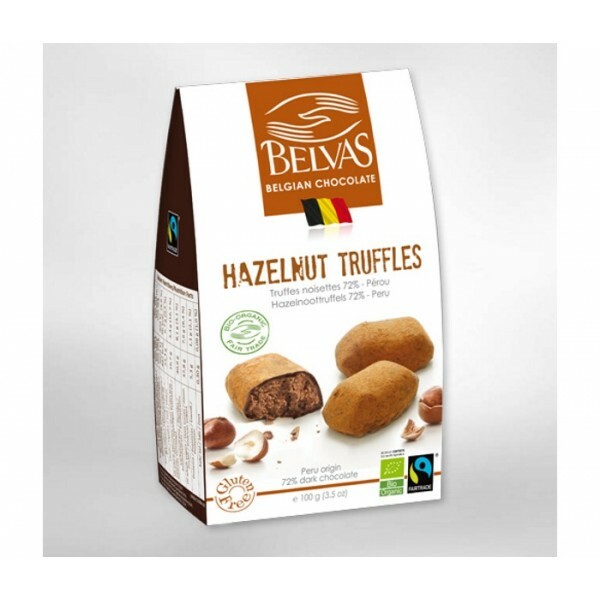 Today, 55% of Belvas sales are made in organic specialized independent stores, spread throughout Europe. Exporting “organic” involves to meet higher standards of traceability (HACCP) and the acceptance of audits to ensure 100% organic quality. We are certified organic by the Certisys company. Chocolate Vivani Dark 92% (80g) "High percent" chocolate bar. The new flavour is made exclusively..
Chocolate Kaoka Dark 80% (100g) [V] Ingredients Ecuador CACAO solids * Cane sugar * Emulsi..
Chocolate Vivani Dark 75% (80g) Mild and natural with character, thanks to finest Panama cocoa and ..
Fresh Organic Fennel from Spain.Delicious raw in salads, goes well with Orange or Blood Orange.Becom..